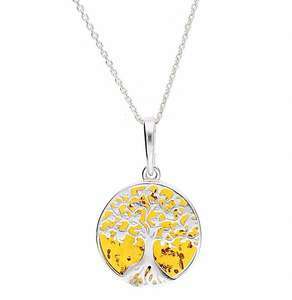 Designer tree pendant made of a sterling silver with a round shaped amber stone set and set with CZ crystals. 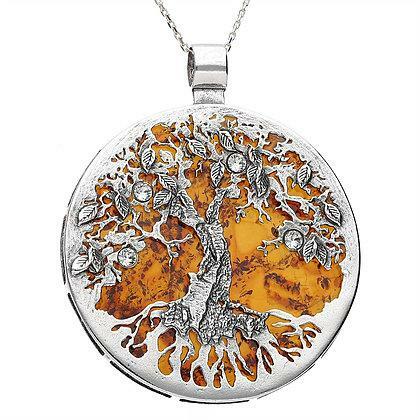 Our best-selling tree of life makes an amazing statement piece. The tree of life is a well known symbol of family, unity and new beginnings - which pairs perfectly with the warmness of the amber stone. Cubic Zirconia crystals give the piece a subtle sparkle.